Note: Our summer programs will be up soon, subscribe to our mailing list by providing your email address ! 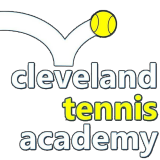 Cleveland Tennis Academy is a proud partner of City of Beachwood and Beachwood City Schools. Go Beachwood Bisons!